Simpy click the Facebook share button at the bottom of this article share it and screenshot the share on your Facebook and click the live tech help button below and send the tech the screenshot and he will answer your repair question for free. Now not only do we offer appliance repair guides and answer some of you appliance repair questions for free, we just added our new Live Appliance Repair Help Service. You can now chat with an expert appliance technician live instantly! 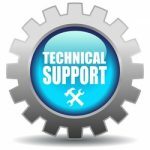 If you see the Live Tech Help button in the bottom right of your browser then there is a factory trained technician online available to answer your appliance repair question and help you get your appliance repaired. It does not matter if it’s a Washer, Dryer, Refrigerator, Freezer, Ice Maker, Dishwasher, Wall Oven, Range, Microwave, or if its Gas or Electric we will help you get it fixed. If you have something off the wall you are trying to repair feel free to ask a technician for appliance repair help and if that is something he can help you with before ordering the service, it does not cost a dime to enter the chat session. We still offer great repair guides and will also write you a custom repair guide but we know sometimes nothing beats instant appliance repair help from a factory trained appliance technician when you are in a pickle and have to get your appliance back up and running as soon as possible. They are friendly, courteous and most importantly quick to get your appliance repair question answered ASAP. This is a true live chat session service in real time and after your session ends you will be emailed a copy of the chat transcript so you have it on hand to refer back to if needed. Please visit our Tech Help Service Center page for more information on the pricing and services we offer. Please keep in mind this is an online service only to give you the necessary information to repair the appliance yourself we do not send technicians to your home.